How do I speak for up to five minutes? 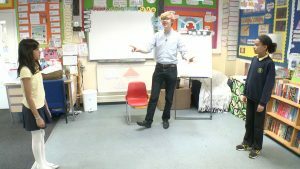 Lesson idea: Who should have the power? 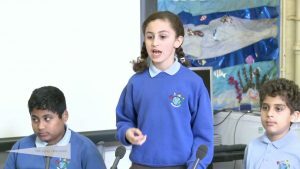 KS3 pupils (11-15 years old) from the Beacon School in Surrey debate this motion using a 3-a-side format with a floor debate. 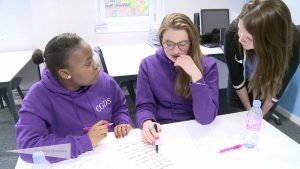 The video on..
Students from Clapton Girls’ Academy show us the key steps to prepare as a team for a debate, using the BP format. Teams of 3 give 8-minute speeches and engage in rigorous analysis using the World Schools Debating Championship (WSDC) format. 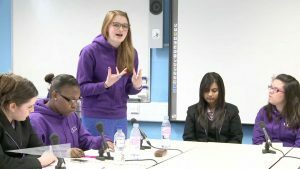 Students from Clapton Girls’ Academy debate this interesting Geography motion in British Parliamentary (BP) format. 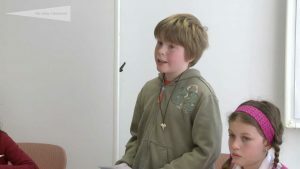 14 year-old pupils from Bury St Edmunds debate an engaging politics motion in a 3-a-side format with floor debate. 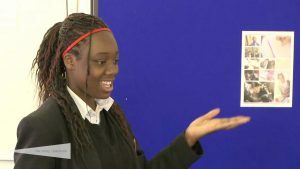 GCSE pupils from Hackney debate this history exam classic in a 2-a-side format with audience questions. Weighty arguments in our lean, mean 2-a-side format with plenty of audience questions for dessert. The ball’s in your court, as singles and doubles players line up for some quick-witted rallies of responses. 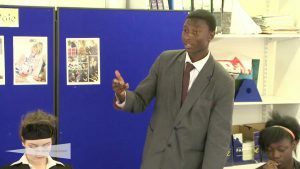 “Roll up, roll up for the boxing match debate”, the Noisy Classroom’s big-hitter for differentiation and teamwork. There are lots of reasons why we might decide only to eat food from our own country, and patriotism is only one of them.